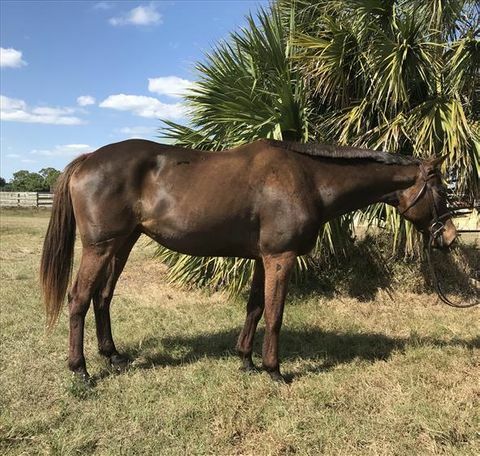 Very handsome and well-built gelding with an inquisitive personality and goofy sense of humor. He is solidly built and an easy keeper. Vegas is very green under saddle but quite willing and learns quickly. He has very comfortable gaits and easily walk, trots and canters in the ring. He is a bit spooky so will thrive with a patient rider of at least an intermediate level to bring out his enormous potential.